The American Cancer Society would not be successful without the help of our generous donors and volunteers. Because of you, we've been able to fund life-saving breast cancer research studies, crucial patient care programs, and education and prevention initiatives that have helped thousands of people across the globe. That's why it's so important to participate in your Making Strides Against Breast Cancer event and fundraise - because when you do, you help save lives from breast cancer. 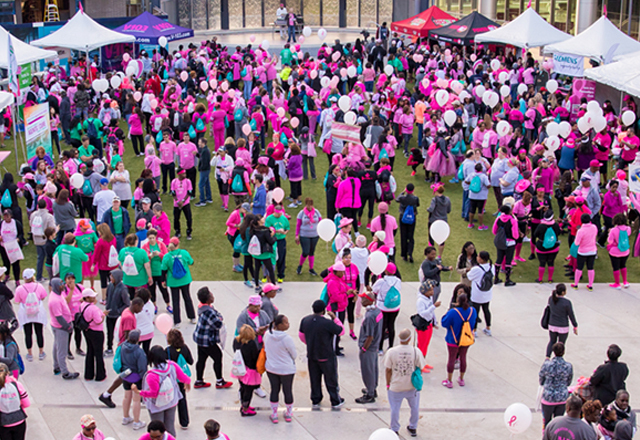 Team leaders can help make Making Strides events successful. The first thing to do is recruit friends, family and anyone you want to spend a day with to be team members. Then just set fundraising goals, organize fundraising activities, and, on the day of the event, lead your team through a fun walk day. If you don't want to lead your own team, you can join an existing team, join as an individual or volunteer at the event. However you choose to become involved, we'd love to see you there. Our Making Strides Against Breast Cancer events depend on volunteers to be successful. Share your time so that no one has to face a breast cancer diagnosis alone. As a volunteer, you may help with check-in, water stations, information, and much more. To learn about volunteer opportunities in your area, sign up now or call 1-800-227-2345. If you want to help us save lives from breast cancer, volunteer. Survivors are the heart of Making Strides Against Breast Cancer. And thanks to our partner, Zeta Tau Alpha, the survivor experience at our events is more exciting than ever. From recognizing and honoring survivors to coordinating special activities, the love of ZTA and our Making Strides staff shines through, creating an amazing day for everyone. All survivors are welcome to join in the activities, even if they don't want to join a team! 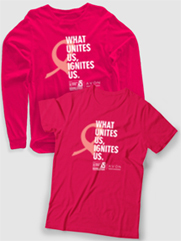 You can make a meaningful contribution to the American Cancer Society as a local Making Strides Against Breast Cancer sponsor. Supporting a local event sends a message that you care about your community. If you or your employer is interested in sponsoring an event, please send us your information by completing the form below. American Cancer Society Partners Against Cancer is a comprehensive employee engagement program that recognizes an organization's level of investment in our signature events through team fundraising, sponsorship, matching funds, cause marketing, and in-kind donations.